As the Holiday Season approaches, I urge you to consider shopping the Galion-Crestline area for those gifts you will be purchasing. Please take the time to read and consider the following good reasons to shop locally. Locally owned businesses recycle a larger share of their revenue back into the local economy than most chain stores. When you shop locally, more sales tax is generated to be used in your community, to provide public services, such as police & fire. Local business owners are more likely to donate to local causes, such as event sponsorships, school fundraisers, social services and contributions to local non-profit organizations. In fact, the MAJORITY of big box stores do not support local chambers. 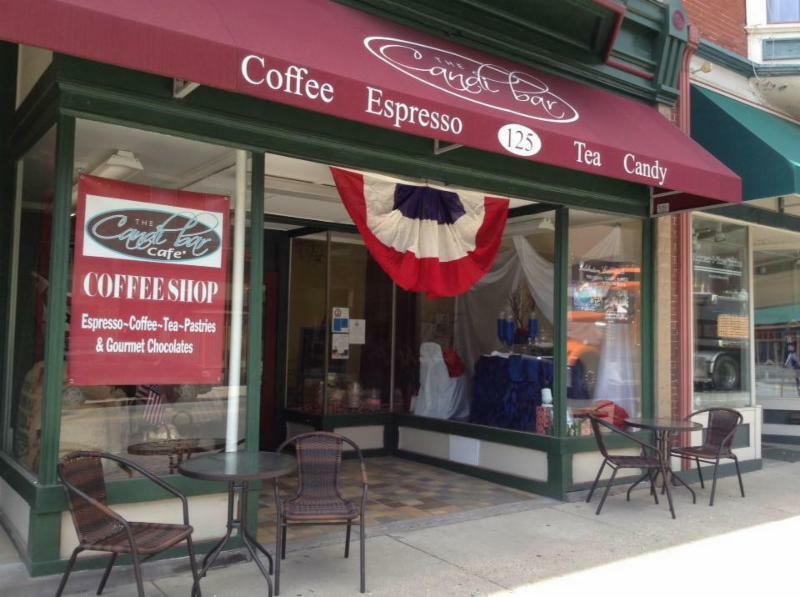 One dollar spent at a locally owned business will return five times that amount within the community through city taxes, employees’ wages, and purchase of materials and supplies at other independent businesses. Local ownership means important decisions are made locally by people in the community who understand the needs of their local customers and are impacted by those decisions. I realize we can’t always shop locally, as there are some products that unfortunately are not available here. But I do think we need to consider the benefits of spending our dollars locally whenever possible. Remember: dollars spent at your local businesses benefit YOU! 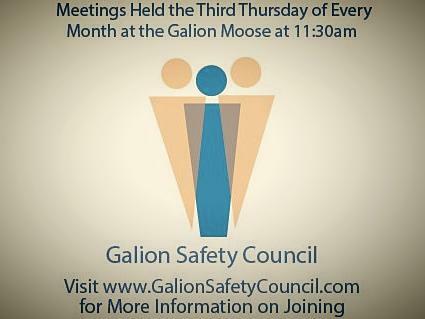 The chamber recently partnered with chamber member, Sleep Inn & Suites of Galion to provide a discounted room rate for chamber members and their employees. 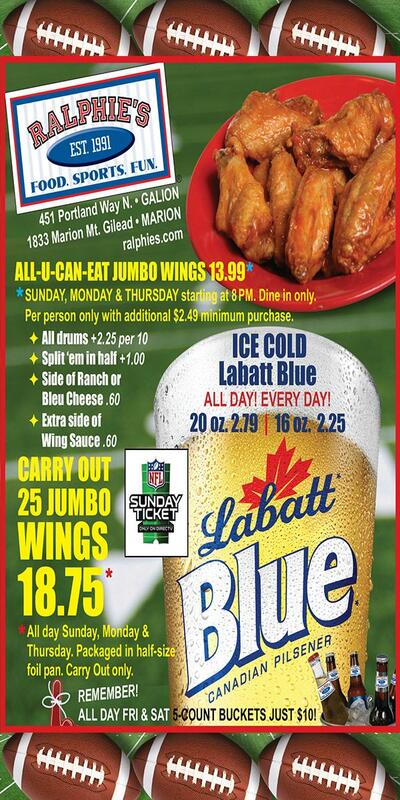 The benefit is for chamber members for personal & business use and their employees only. 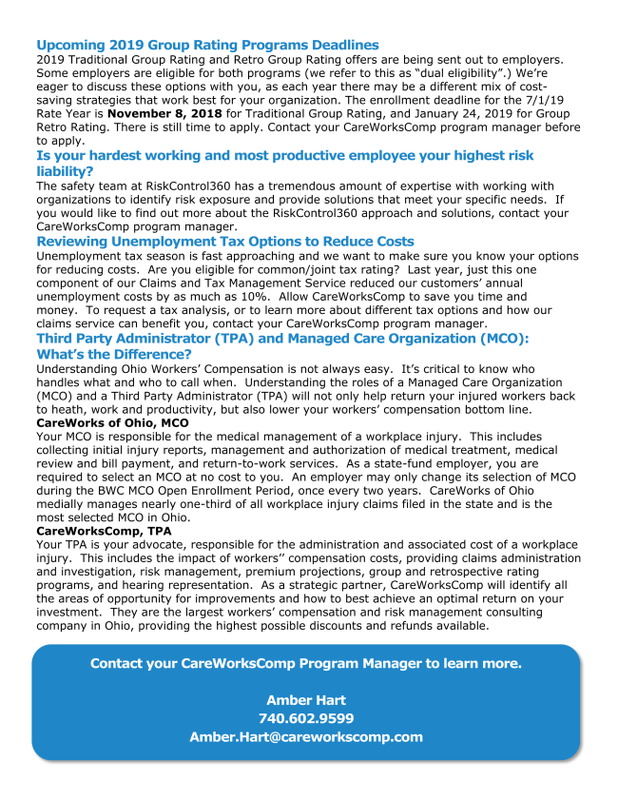 For more details, please contact the chamber office at 419-468-7737. 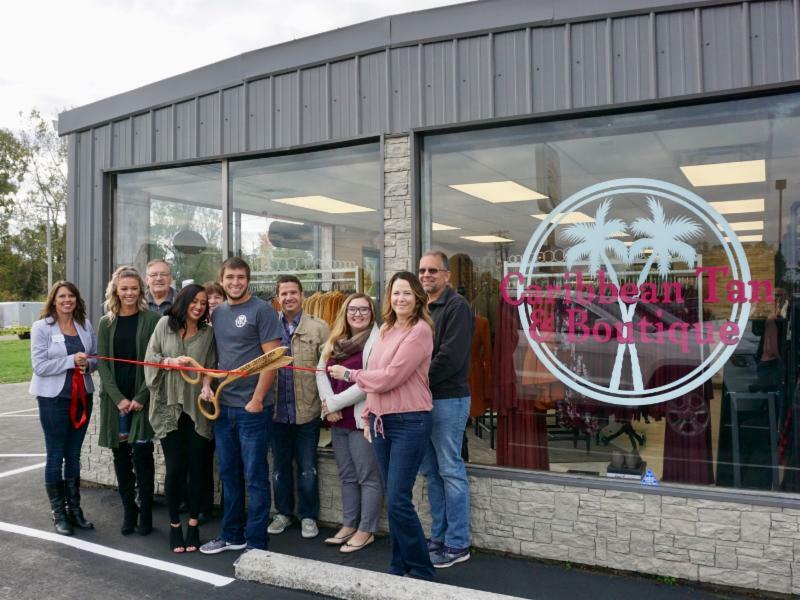 The Chamber held a ribbon cutting at Caribbean Tan & Boutique located at 833 Harding Way West on Friday October 12th to welcome them to the Galion business community. 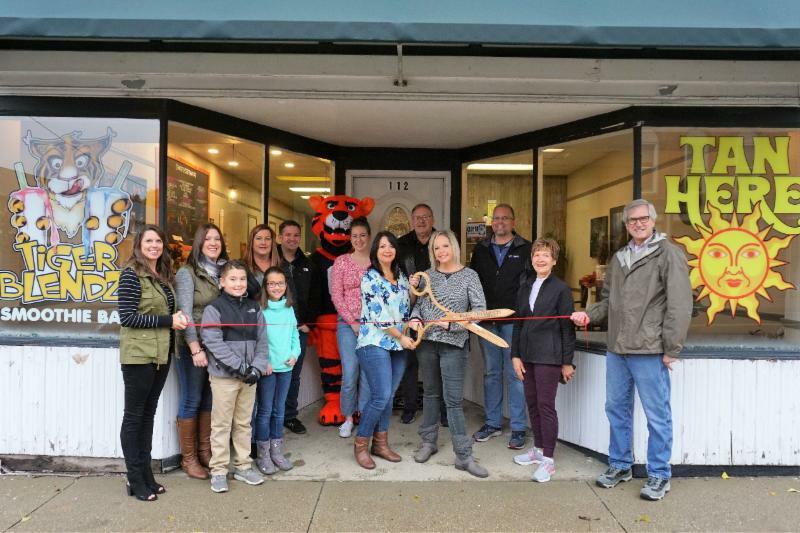 The Chamber held a ribbon cutting at Tiger Blendz Smoothies & Tanning located at 112 Harding Way West on Friday, November 2nd to welcome them to the Galion business community. 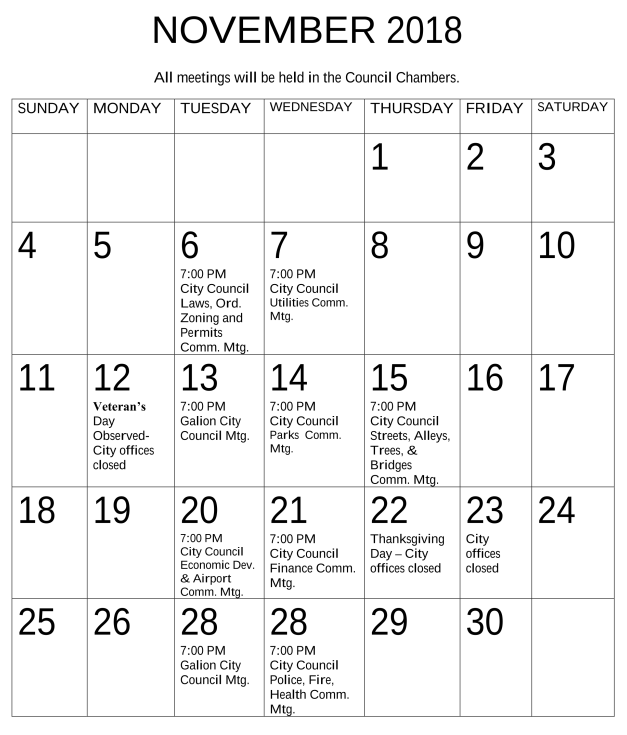 Stay up to date with upcoming Chamber events! Click on the event below to be taken to our events page on our website for specific event details and more information as it becomes available. The Galion-Crestline Chamber has become an American Express Business Champion in both Galion and Crestline for the 2018 Small Business Saturday. Help local businesses buy shopping local. 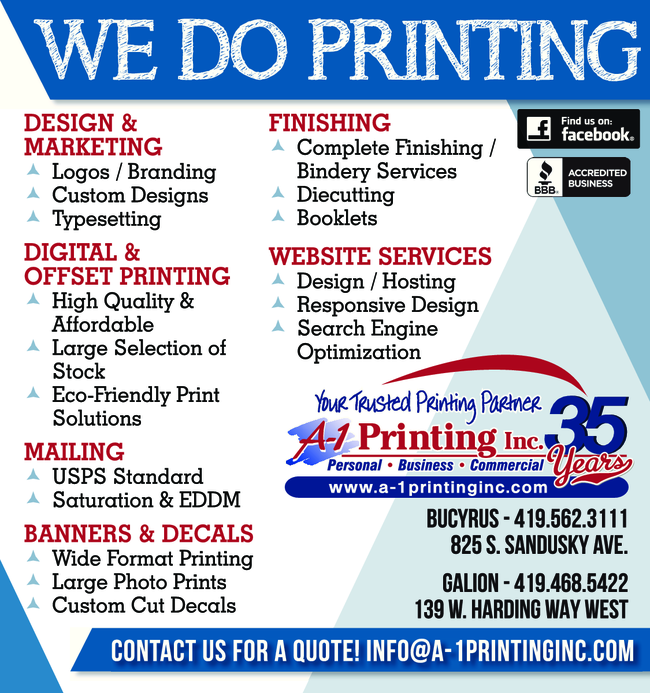 Are you a business in the Galion or Crestline Area that would like to promote your business on Small Business Saturday? IT'S FREE!! This free event is open to Chamber Members & their guests. 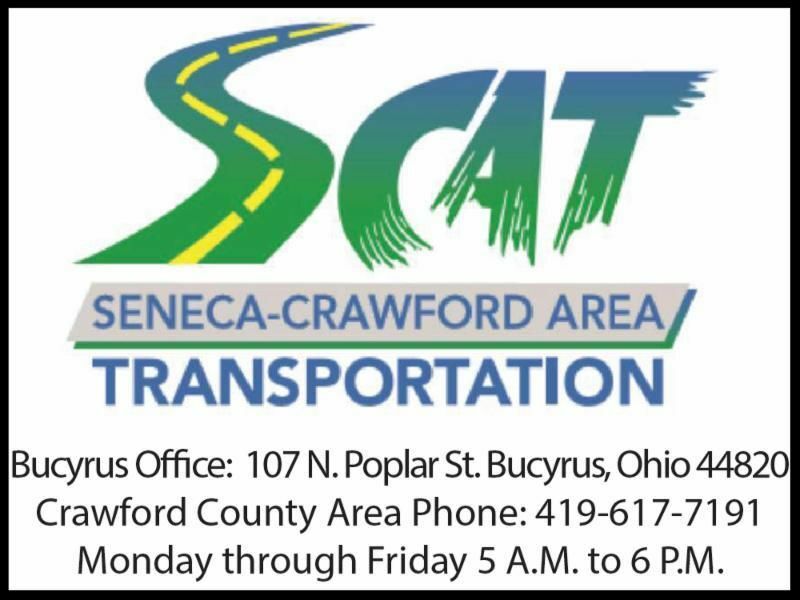 Please bring a can food donation to go to Ohio Heartland Community Action. 2018 Chamber Holiday Open House & Auction!! Thank you to all those who have donated! 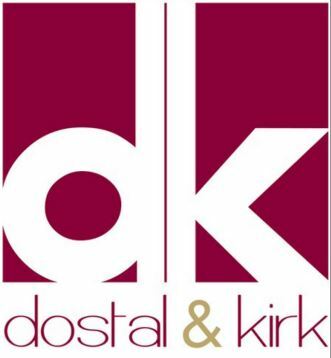 Keep those auction items coming in to the Chamber office. Deadline to drop off is Wednesday, November 28th. We look forward to another successful event this year! 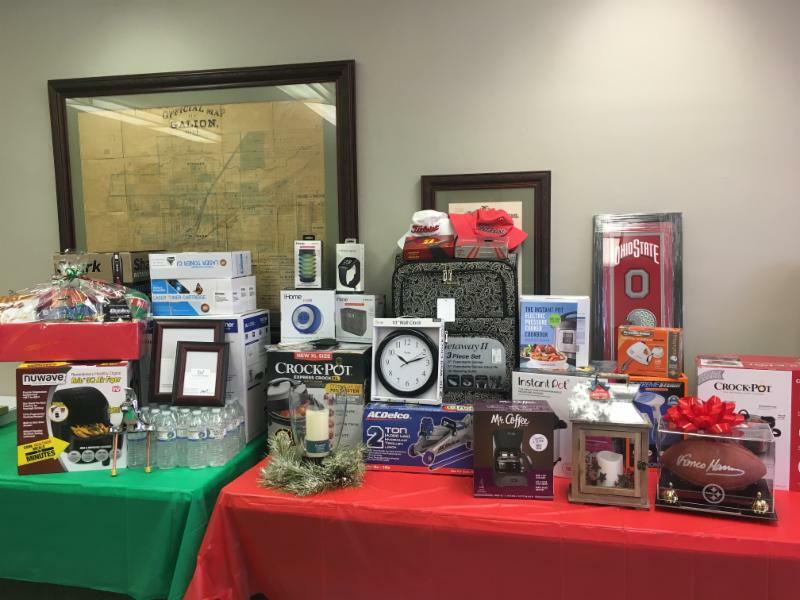 Call the Chamber office today 419-468-7737 to arrange drop off or pick up of your auction items. We greatly appreciate your support for this annual event. Remember to RSVP by clicking HERE to attend this free event that is open to all our members and their guests. 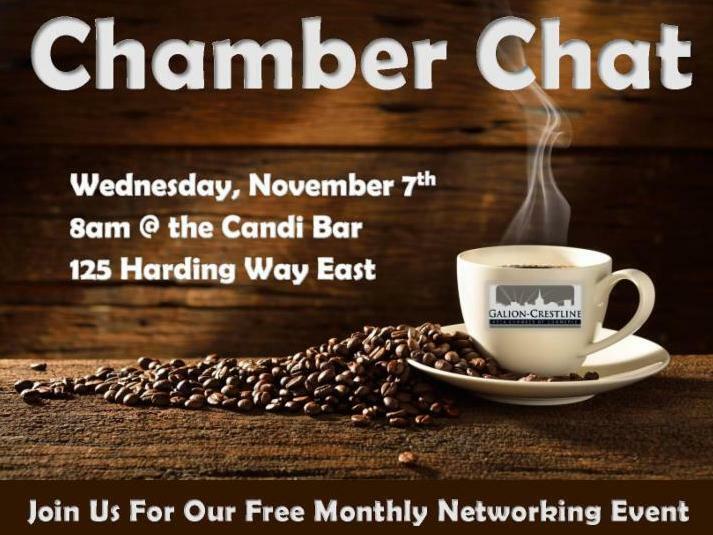 The Candi Bar : at 125 Harding Way E. celebrated their 7 th anniversary on October 26 th . 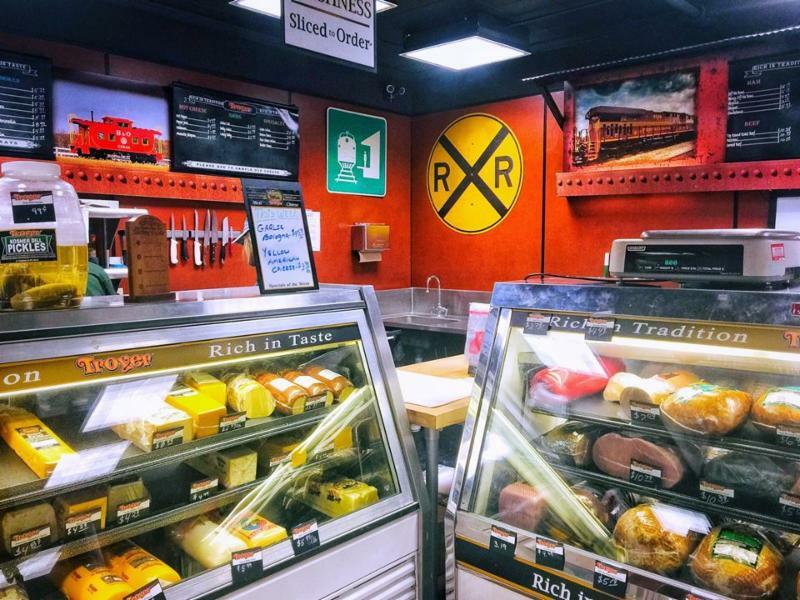 The Depot Deli : at 141 N. Seltzer St. in Crestline, recently celebrated their 1-year anniversary in October. 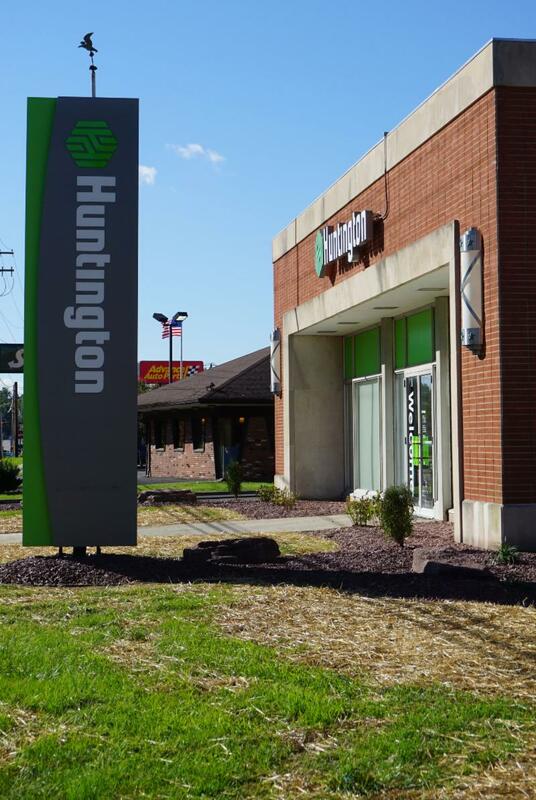 Huntington Bank : at 260 Portland Way N. recently re-landscaped their building. 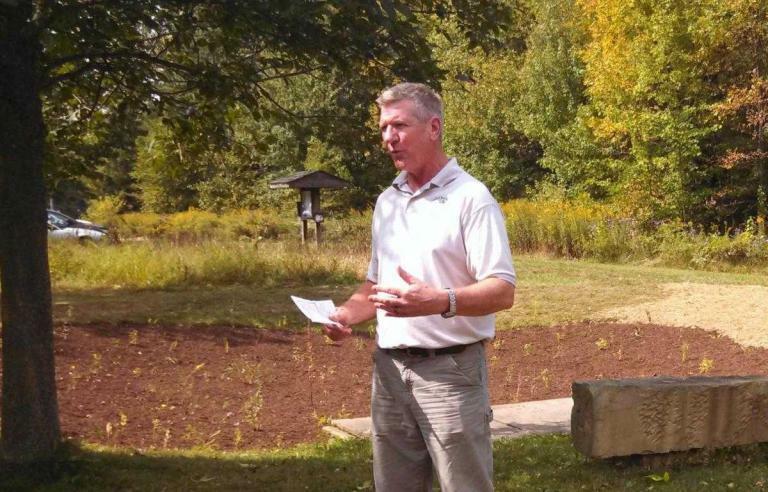 Crawford Park District : Park Director, Bill Fisher retired effective October 31 st and Park Naturalist, Josh Dyer has been promoted to the position of Director. 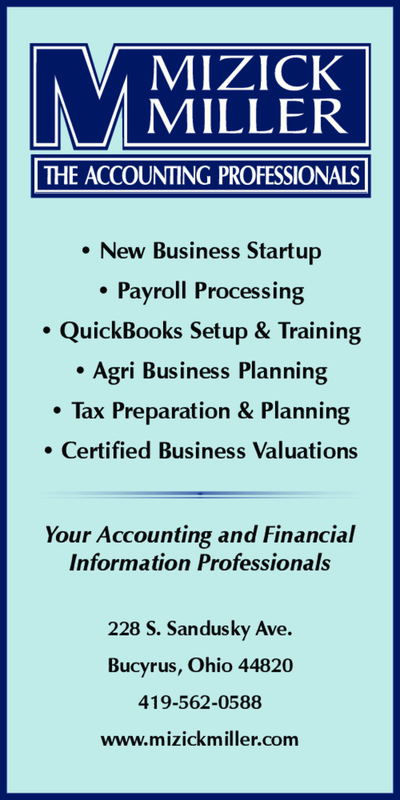 Do you have an anniversary, new associate or employee, sign, or business update? 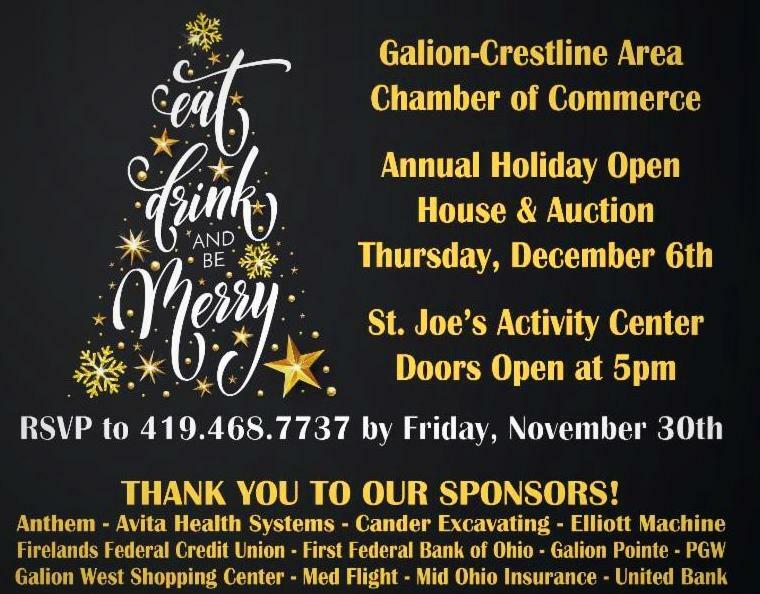 Contact Joe or Miranda at the Chamber Office, 419-468-7737 or email mjones@galion-crestlinechamber.org so we can add your business to the Member Spotlight in our next Newsletter. 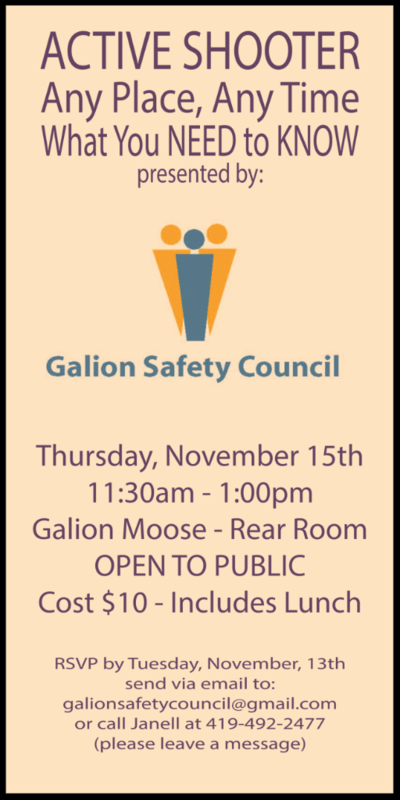 Business and community leaders from Galion and Crawford County joined together to celebrate the success of manufacturers and their employees during the 2018 Manufacturing Celebration of Success at Galion High School Wednesday October 17th at the Galion High School Cafetorium. More than 100 attendees were among the first to see a video, “Moving Forward – A Spotlight on Manufacturing”, that showcased nine area manufacturers. 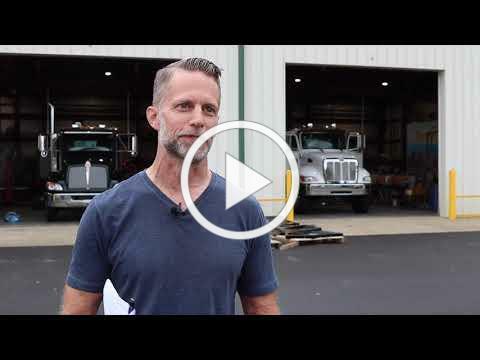 The theme of the video focused on technology, automation and the future of the manufacturing industry in Galion and Crawford County. Click here to watch the video , which was produced by Rock Solid Media LLC exclusively for the event. The morning’s event was highlighted by U.S. 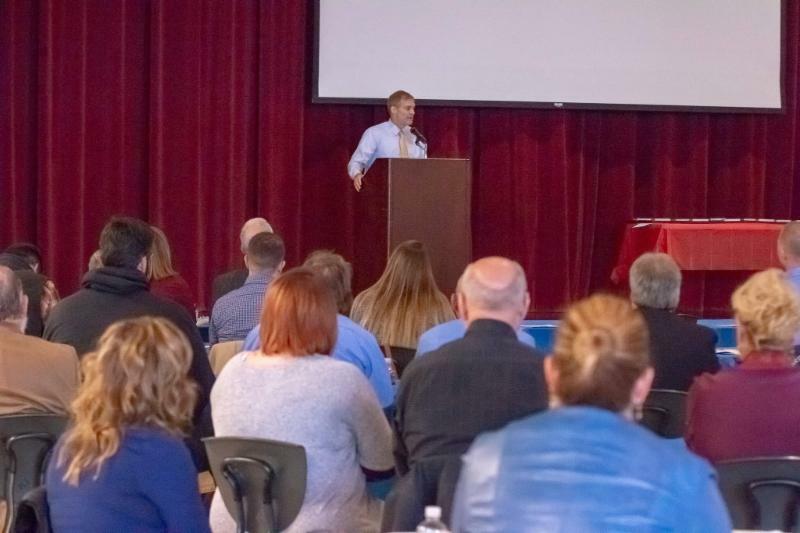 Congressman Jim Jordan sharing information and his views on various topics, including the upcoming election. Congressman Jordan noted that Ohio’s economy is based largely on the manufacturing sector and that Crawford County is no different. Crawford Partnership Executive Director Gary Frankhouse discussed Community Opportunity, a chance for local businesses to add their business profile and jobs, to an online database that is accessible to students, educators, job-seekers, and businesses alike. 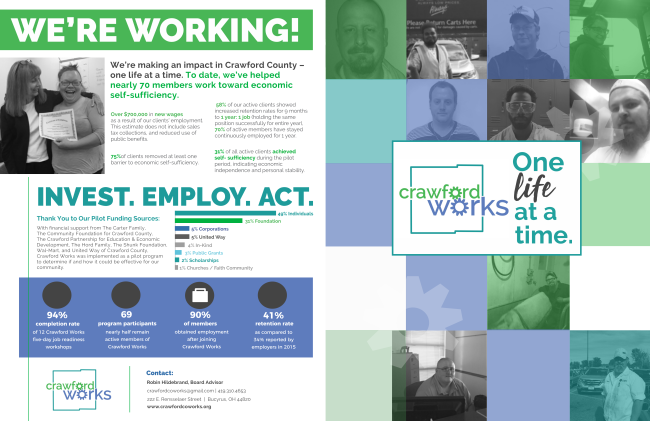 Community Opportunity promotes Crawford County and the availability of jobs and careers. Galion City Schools Superintendent Jim Grubbs closed the morning’s activities by sharing information about the district report card and the many positive activities and events taking place in the district. 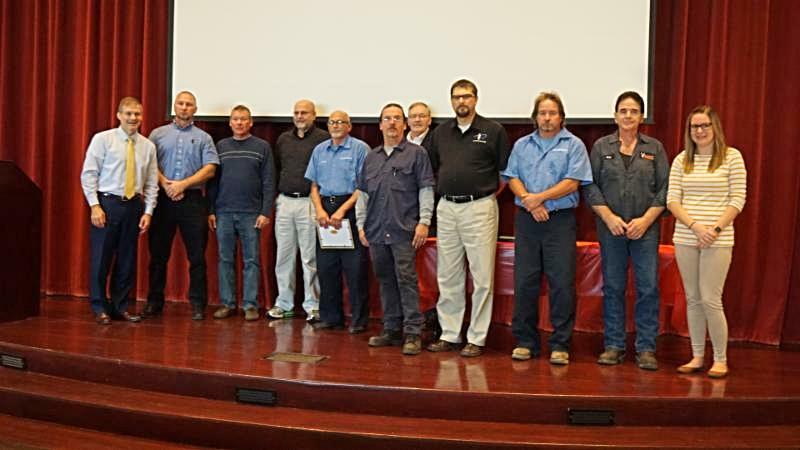 "Moving Forward - A Spotlight on Manufacturing"
Pictured above are 9 of the 11 hard working, dedicated individuals from the Manufacturing Industries in the Galion and Crawford County Area who received the 2018 Service in Manufacturing Award. Combined, these 11 individuals awarded have over 300 years at their local businesses! Thank you! Our 2018 Service in Manufacturing Award Recipients are Glenn Johnson from Carter Machine, Randy Nickler from Carter Machine, Duane Hobson from Covert Manufacturing, Matt Worley from Longstreth Inc, Rick Lowe from Urban Industries, Steve LaForest from Carter Machine, Ken Ewing from Longstreth Inc, Gary Conklin from Eagle Crusher, Jessica Behr from Tramec Sloan, Pat Sabo from Schilling Graphics (not pictured) and Bob Wittibslager from Elliott Machine Works (not pictured). Award receipts received their award from Congressman Jim Jordan and a small gift from Chamber President/CEO Joe Kleinknecht. This award is all about recognizing those individuals that take pride in their everyday work and are committed to their business. They are loyal, dedicated employees and deserved to be recognized! We appreciate you!